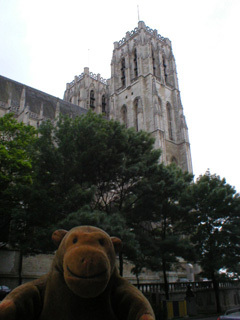 "It's a very big building"
After visiting the bank, Mr Monkey walked around the Cathedral of Saints Michael and Gudula, admiring the butresses and gargoyles as he did. 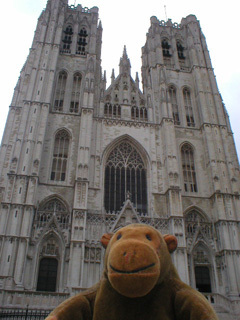 At the front of the cathedral, Mr Monkey was going to go inside, but there was a service on and he thought they might not appreciate a monkey with a camera. 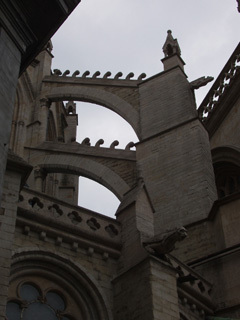 You can read about the cathedral at the Travel Info on Belgium website.